External Affairs Minister Sushma Swaraj and Defence Minister Nirmala Sitharaman are scheduled to be in Beijing on April 24. They will attend different meetings of the Shanghai Cooperation Organisation. The eight-member SCO, in which India was the latest entrant along with Pakistan, is due to hold its summit in the Chinese city of Qingdao in June. The SCO comprised of China, Kazakhstan, Kyrgyzstan, Russia, Tajikistan, Uzbekistan, India and Pakistan. The visits of Swaraj and Sitharaman are the first high-profile visits by Indian ministers after last year’s 73-day long standoff at Doklam. Boeing joins the race to manufacture Super Hornet fighter craft in India. Boeing proposed to build fighter jets in India along with two local firms, as the US giant prepares to bid for the world’s biggest combat aircraft order. The Boeing will partner state-run Hindustan Aeronautics Ltd. and Mahindra Defence Systems to manufacture the F/A-18 Super Hornet in India. An Indian tender for 110 combat aircraft announced last week mandates building at least 85% of the order locally. The country’s air force and navy require as many as 400 single- and double-engine combat aircraft, according to the government. Latest International Current Affairs April 13 Updates from around the globe. Sri Lanka president suspends parliament until May 8. Sri Lankan President Maithripala Sirisena on Thursday suspended parliament until next month. A government decree quoted the president as stating that he had halted parliament’s meetings. The move, scheduled to last until May 8, came hours after at least 16 Sirisena loyalists, including six cabinet ministers. Relations between the rival groups in the unity government have soured after both suffered losses in February’s local council elections. Just hours before he announced the suspension of parliament, Sirisena had appointed acting ministers to the positions of those who quit the Cabinet. The SLFP is to decide later this month if it will remain in government. Rajapaksa is pressing for a 2020 national election to be brought forward. India rejects proposal to create Saarc Police. India has rejected Nepal’s proposal to create the “Saarc Police”, a regional body to counter terrorism, narcotics and human trafficking. The proposal was floated during a meeting of senior police officers and officials responsible for countering drug and narcotics trafficking. With the situation currently not favourable for holding the stalled 19th Saarc Summit, some observers believe the proposal was also affected by the rivalry between India and Pakistan. The Saarc process has been stalled since India pulled out of the 19th Saarc Summit that was to be held in Islamabad in 2016. Pakistan, US may restrict diplomats’ movements. The United States and Pakistan are engaged in a diplomatic row which despite denials from both sides. The notice shared with the Pakistan embassy in Washington and sent to the foreign ministry in Islamabad. Both sides clarified the move has nothing to do with an accident in Islamabad involving an American diplomat who ran a red light. Check out the latest trending business Current Affairs April 13 updates by reading the news. Bitcoin jumps 10% to a two-week high, leads broad crypto surge. Cryptocurrency prices jumped on Thursday, led by a 10% surge in Bitcoin to two-week highs, though analysts said they were unsure of what had triggered the spike. Other cryptocurrencies like Ethereum and Ripple also rose sharply. Cryptocurrency prices had sagged in recent weeks, with price volatility also down. Lenovo launches new ThinkPad laptops in India. Chinese technology company Lenovo on Thursday refreshed its ThinkPad lineup with laptops from its X1, X, T, and L series. Lenovo launched a total of 11 laptops which are all powered by 8th-Gen Intel Core processors. Lenovo ThinkPad X1 Carbon starts at Rs 1,21,000, while X1 Yoga starts from Rs 1,26,000. These laptops are the first in the world to support Dolby Vision HDR. 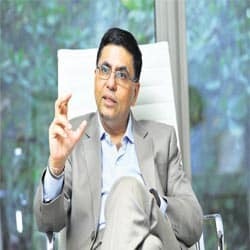 Sanjiv Mehta to take over as HUL chairman from Manwani. Sanjiv Mehta will take over as chairman of Hindustan Unilever (HUL), succeeding Harish Manwani. He is set to retire from the post of non-executive chairman at the company’s forthcoming annual general meeting in June this year. He took over as the non-executive chairman of the company in July 2005 and, during these 13 years. Manwani was the first Indian manager who rose to the COO level at Unilever, the parent company of HUL. Walmart may reach deal with Flipkart by June-end. Walmart is likely to reach a deal to buy a majority stake in Indian e-commerce player Flipkart by the end of June. It was reported last week that Walmart completed its due diligence on Flipkart and had made a proposal to buy 51% or more of the Indian company. A deal with Flipkart would step up Walmart’s battle with Amazon.com for a bigger share in India. Walmart will buy both new and existing Flipkart shares, with the new shares expected to give a valuation of at least $18 billion. Google engineer develops the tool to detect fake videos, images. Google engineer Supasorn Suwajanakorn has developed a tool which, fed with the right input, can create a realistic fake video. Like any technology, it has great potential for both good and mischief. Suwajanakorn is therefore also working with the AI Foundation on a ‘Reality Defender’ app that would run automatically in web browsers. Current Affairs April 13 is bringing you with Records, titles and other updates from the world of sports. Arsenal FC, Atletico Madrid reach Europa League semi-finals. Arsenal survived a scare as they progressed to the last four of the Europa League on Thursday. Fedor Chalov and Kirill Nababkin scored for CSKA to set Arsenal nerves jangling in the Russian capital. Atletico Madrid is also through, and remain the favourites, despite losing 1-0 on the night away to Sporting Lisbon. Marseille, the 1993 Champions League winners, needed to overturn a 1-0 first-leg deficit when they hosted RB Leipzig at the Velodrome. Wrestlers enter with medal rush, Seema and Tejaswini win silver. On the first day of wrestling competition at the 2018 Commonwealth Games, all four of India’s grapplers delivered medals. Winning gold was Sushil Kumar (75kg) and Rahul Aware (57kg), while Babita Kumari claimed silver (53kg) and Kiran Bishnoi took bronze (76kg). The other medalists of the day were shooter Tejaswini Sawant, who won silver in the finals of the women’s 50m rifle prone. Anjum Moudgil, the other Indian to reach the women’s 50m rifle prone finals, finished 16th with a total score of 602.2. Candidates hoping to get Government Jobs can get more details about the Current updates from above links. You can read some latest Current Affairs, and attempt Current Affairs Quiz which helps you to crack various Competitive Exams. Make use of our Current Affairs April 13 and current affairs India 2018 for better scoring in exams. Users will be benefited with the free month wise Current Affairs PDF and Updates available for download. The Free Quizzes & GK Questions available in this Affairs Section will benefit all the career hopefuls to get their desired Sarkari Naukri. This current affairs daily page is well created by the dedicated team members of recruitment.guru. Make use of Current Affairs April 13.